How do you feel about this shower curtain? So far I’ve painted the room, installed all new hardware, and shared tips for painting around a toilet and hanging a shelf level. Today I want to talk shower curtains. I found this curtain at West Elm. It was seriously love at first sight. Exactly what I was searching for for this bathroom. I ordered it on the spot. Finally the shower curtain arrived in the mail. It certainly isn’t as yellow as I expected. In fact, it’s more like a yellowish pea soup color. They call it “Citron”. I wasn’t thrilled but I figured I’d try it out anyway. In the mean time I found this duvet at Target. I thought the pattern and color were both nice and might look good converted into a shower curtain. So I bought it as well. Once I had both curtains, I used some basic clips to attach it to the top of the plastic liner. I wanted to just get a visual of how each looked before I did anything drastic. Once the Target duvet was attached I stepped back to admire. I fully expected to love it the most and return the West Elm curtain. So, um ya. I totally hate it. It came down and was returned the same day. 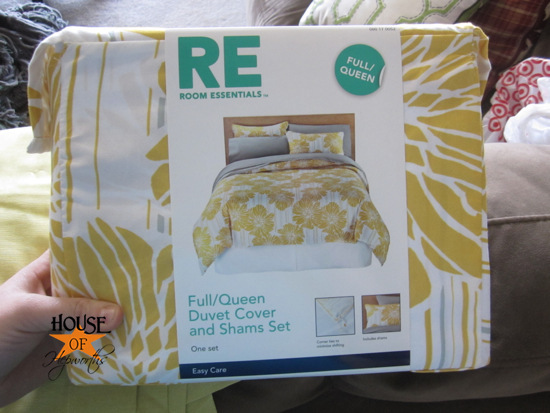 I actually still love the duvet, but for a shower curtain it seemed too busy and the colors seemed to just kinda clash with everything. That left me with the “Citron” West Elm curtain. I clipped it up as well, and though I have to admit, I don’t love it by any stretch of the imagination, it’s better than nothing so I kept it. And here it is fully installed on the shower bar. I’m really disappointed in the color of this curtain. I was hoping for sunny yellow. Why is every single shower curtain on this planet so short? I know this is “normal” but I just think it looks too short. Maybe I’m the only oddball who thinks this, but I don’t like short curtains, and I don’t like short shower curtains either. My gut is telling me to return the curtain. I probably will. I’m just having a hard time finding one I really love, and it will drive me nuts if this bathroom is left curtian-less for too long. Argh! I’ll let you know as the saga unfolds. Who would have thought a shower curtain would cause such turmoil and drama? For now, here’s a good before and after. Besides the curtain drama, I think the bathroom is looking so much better! Some have mentioned to frame out the mirror… I actually plan on doing that once I’m not so lazy! lol And also whenever I find a great deal on a faucet, or I have enough money for a nice one, that builder-grade faucet is getting swapped out as well. I’d love your thoughts on the shower curtain! I really like the colors! The shower curtain is fab-o! 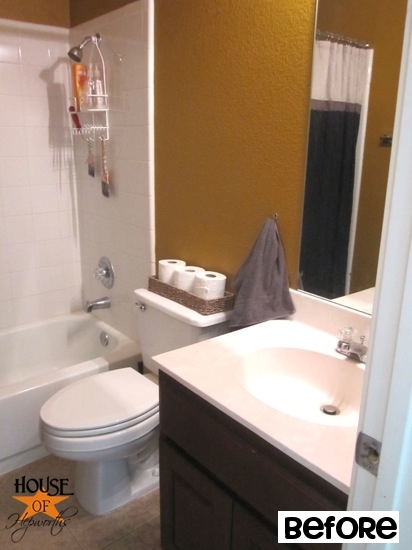 And even though it’s not the color you wanted, I think it totally works…you just might have to switch out towels so it’s not as noticeable to you. As for the length, how about making a white ruffle to add to the bottom? I don’t know if you sew, but it seems like you are quite the DIY-er so I’m sure you could figure it out. Or convince someone to do it for you! Ok, one more thing with the ruffle. Just shorten the yellow enough to make it the same width as the other stripes, then add the ruffle. I think it would balance it out nicely! What about painting your own??…. I think the color is too dull compared to the picture of what you thought you were getting. You could just get the canvas painting tarps and make a shower curtain ( then you could make it the length you wanted and the color you want. its a win win! If you don’t suddenly love it in the next 24 hours, return it, Allison! After all, you don’t want to walk into a room and think of newborn diapers (unless they’re the really cute fuzzy ones, clean and fresh from the dryer!). It is really hard to find something you love, but is it really worth settling for less? After all, if you just wanted function, you’d just stick a grey or white one up there. I know I’m in the minority, but I’m not a big fan of grey and yellow. But that’s just a personal thing. Once you find what you’re looking for, your bathroom will totally rock! how to make them without sewing. I have a rule. Whatever I purchase for my house has to be something I love. If it isn’t what I had in mind, I keep looking until I find “it”. Not a fan. 🙂 The color does nothing for the room. Send it back and try again. I agree with you that it’s too short. The color looks good on my screen, but you are the one who will be reminded of poo every time you go in there! Not good. The stripes are DEAD on though…..looks really good in there! Yay for progress! Yay for you! I have to agree with the majority here, it’s an okay shower curtain, but with all the time and effort you’ve put in to do a fabulous bathroom makeover, the shower curtain should be the cherry on top. I’d return it and find, or paint, or make my own. I have been having an issue finding just the right curtains for my kids’ shared bedroom so I know how frustrating it can be. I finally found my solution in my own fabric stash…I know you will too! Thanks for all the DIY tips during this project! It’s looking great! Good luck! The newborn diaper comment just made me laugh. I thought it was fine until you said that. I’m sure you’d think of that every time you walked in that bathroom. I actually liked the flower sheet one, but it has to be something you really like or it will always bug you. I keep telling myself the same thing while I’m redoing our living room. It just takes patience to find THE right one. Perhaps your shower curtains are so far off the ground because your shower rod is WAY up to far!!! that puppy needs to move down! 🙂 Looks like he could move down 3 inches… which gives you the 3 inches off the ground. I love the curtain thought! I think the towel is the wrong color. I completely agree with the ‘citron’ being very newborn diaper yellow! 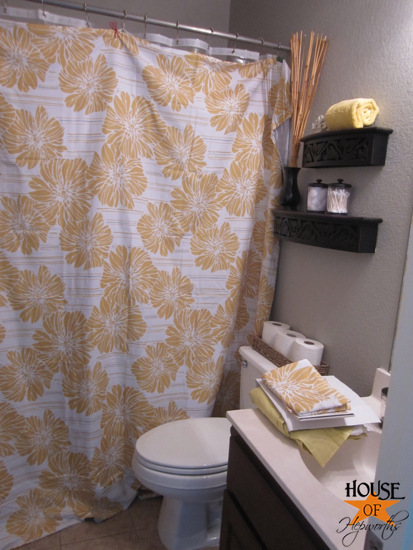 Return that bad boy and look into DIYing a sunny yellow shower curtain. Its obvious that you’re looking for something specific and this isn’t it…and every time you look at this not-so-perfect curtain, it’ll rub the wrong way. Here’s my suggestion: I think you should buy a plain, untextured white fabric curtain. It’ll fit well with what you have and look great until you can execute phase 2… Which is perhaps painting yellow stripes on the curtain or my favorite, sewing wide bands of the perfect color yellow across the curtain a la The Yellow Cape Cod. http://www.theyellowcapecod.com/2011/01/bold-striped-diy-drapes.html She did her drapes with black fabric and they’re gorgeous and a tutorial is provided. 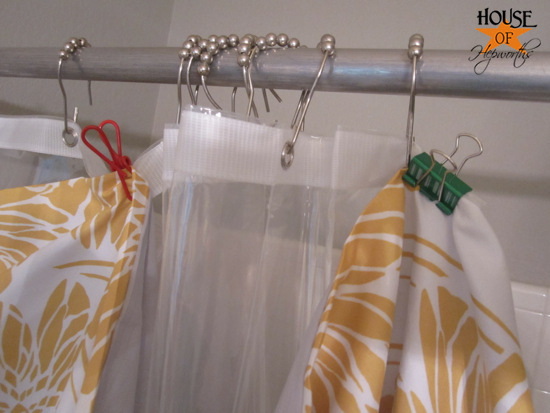 Sewing bands would also allow you to lengthen that short shower curtain! Not loving the color of the curtain. I see a nice charcoal gray or even a non-saturated red. The length of the curtain does not bother me at all. I love the stripes, but I agree with you that the colour is a bit off. We’re in the middle of a bathroom overhaul, and I’m starting to agonize over what to do with our shower curtain. We have a white fabric waffle pattern curtain that I LOVE, but it’s too short (our ceilings are 9′ so I want the shower rod higher up, like yours). I’ll probably end up adding something to the bottom. If you don’t love the curtain, you should definitely return it. If you don’t, you’ll always be on the lookout for something better and you will have wasted your hard-earned money on a second-rate curtain. Have you thought about looking at regular curtains or finding some fabric and making your own? As long as you have a curtain liner, you shouldn’t have any moisture issues. I dunno, just a thought. Good luck! I like the shower curtain, but I’m with you. I think a brighter yellow would be so much fun in there! Hard decisions! Your bathroom is gorgeous! If you don’t love it return it. I’ve found that when I settle, I’m never happy about it, and end up having wasted money because when I finally find my “love” I’ve spent the money twice. Sorry, here I go again… When using a sheet in this way, I use a second rod- I like this look because when the curtain is closed, no rod shows at all, looks so much more finished to me. You can make your own very easily and cheap! Go to Walmart and get one of their low price flat sheets. Give it a wash and dry. Paint some stripes yourself using either fabric paint or regular craft paint with the fabric additive. Hem with sewing machine or steam-a-seam. The suggestions of another shower rod are good. That way you can use regular curtain clips and avoid having to make buttonholes. Hope this helps. Your new bathroom is looking great! I am with you, the duvet looks adorable but not as a shower curtain in your bathroom and the striped one, its not really right either. I can’t see the color real well in the photos but its more just maybe the contrast of thicks stripes and too much white. Its pretty boring. I don’t think i would keep it. Have you tried going to Target and making your own?? They have a yellow waffle print cotton shower curtain that would work. Its less than $15 so $30 or less for both. They also have it in white and you would be able to get your yellow and white stripe and also make it the lenght you want. I’d return it. Don’t settle. You know you aren’t happy. If I used your restroom…..I’d be thinking of baby’s diapers as well !!!!!!! Find something that makes you really happy. 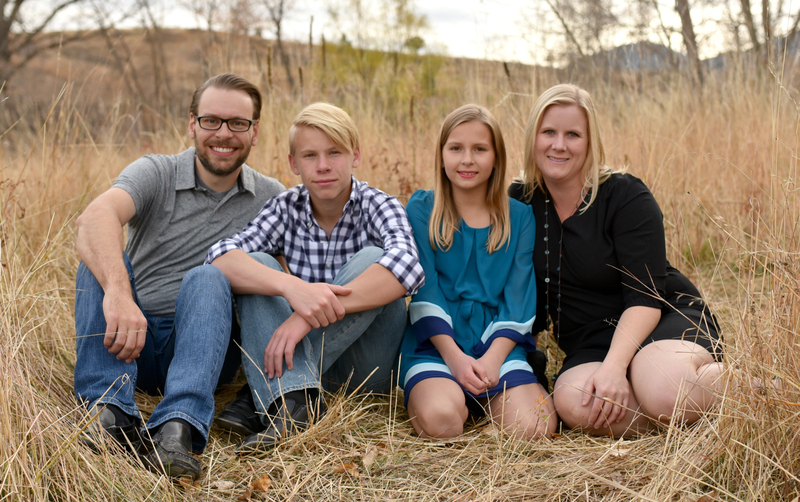 Shoot……..you’ve come this far!!!!! Be picky. You have earned the right!!!!! DO NOT SETTLE…………………………we want you going in there, sitting and thinking……ahhhhhhhhhhhhhhhhhh this bathroom is lovely! It’s da bomb! My vote: return it. Confirmation to what you already knew. Very funny, Tere! Allison, we do want you going in there and thinking while sitting next to baby-diaper colored curtains!! Puh-leeez!! 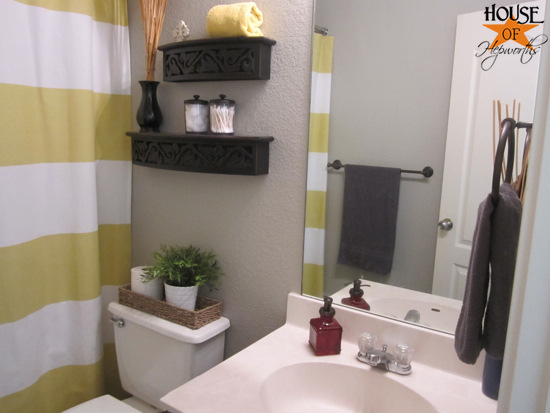 I prefer a little brighter yellow and think painting stripes on would be a great way to perfect your color choice. You can get white muslin at fabric store that is 108″ wide (maybe even wider for other projects) for around $5 a yard, give or take. That’s a bargain…use your 40% coupon…woo-hoo! You can then test the color out on a small piece of the muslin to make sure you get the right color. Be sure to get a “fabric medium” to keep the fabric soft. For those of you who don’t know what a fabric medium is, you mix it in the acrylic paint, so when you paint, the fabric doesn’t get stiff and/or crackly. It’s found with the acrylic craft paint at the craft store. I discovered the muslin while looking for something to line the living room curtains I’m making by following Allison’s curtain and curtain rod tutorial!!!! Thanks, again, Allison. There are several online tutorials on painting fabric for curtains. So there ya go. There are so many ways to get the length, width, and color you want. I’m looking forward to your sharing your decision. Wow, thank you everyone for all your opinions!! You guys rock my socks off. I already knew I should return it. I was being lazy and needed a big fat kick in the rear from you guys, so thank you! The shower curtain is already taken down and waiting to be returned, which I will do this afternoon. Thank you! If you hate it now…you will loathe it later! I had the same problem finding a shower curtain that I liked and even when I found an okay one it would always be too short. I actually ended up buying a sheet for $2.00 at Goodwill and hemming it to the exact length I wanted. Then after adding grommets it was perfect. 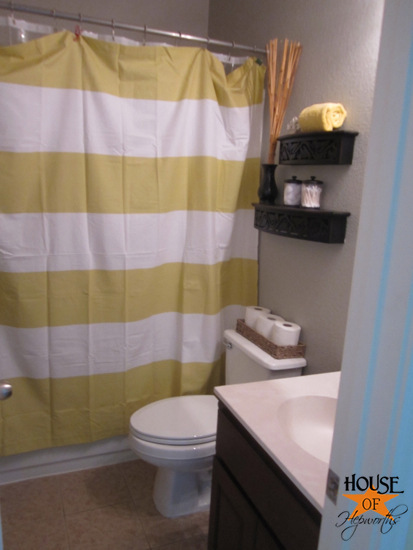 I also saw a tutorial online from someone who bought the same shower curtain you have and didn’t like the color so she painted a sheet and made it a shower curtain. I actually really love the citron one. Could you add a gray panel to it to lengthen it? That would look good. This is exactly what I was going to say. Add a big gray ruffle to the bottom (to match the towels) to make it floor length. I did this to the shower curtain in my daughters bathroom. It looks great and so custom. I love the color or yours–I’m not really a bright yellow sort of gal. But if you hate it, return it. Why don’t you get a drop cloth and paint your own stripes? You could get the exact sunny yellow you are looking for… And I am sure it would cost you less than the West Elm one. If you decide the color is ok, you could always attache a large ruffle to the bottom to take care of your length issue. I can’t wait to see what you decide to do! I agree the color does not look like the catalog photo and it also appears very short. I love your paint color and I do think a sunny yellow would be perfect. What about buying a drop cloth from hardware big box store and stenciling it in a fun, bright yellow pattern. I ramble, GOOD LUCK!!!! I’m sure it will turn out great. I think you’re on the right track. I vote with take back both curtains. Your walls are a cool greige from what I can tell, and the stripe colors aren’t doing anything for it. 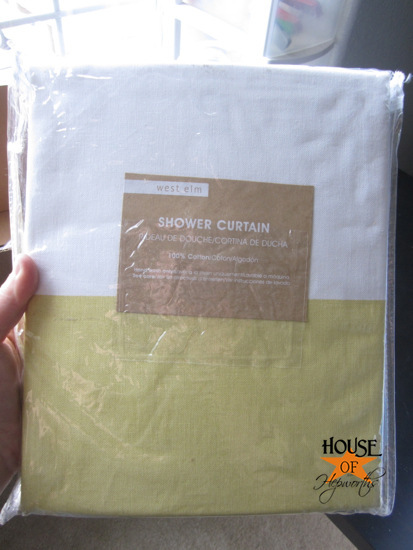 I would suggest you use drapery panels with clips with a clear vinyl shower curtain on the inside. I did this in my guest bath with PB panels and it looks great. I also don’t agree with your rod being too low. With drape panels you can do this. Bed Bath Beyond has x-long vinyl liners. The higher the better, it draws the eye up and makes the room taller. If you’re stuck on two color stripes, Crate & Barrel has a great stripe taupe and white panel. I think a colorful print that would make a focal point would be beautiful. I am new to the blog world, but will have my bathroom published sometime soon. If you’d like to see how the double rod looks, I can email you pictures. Keep up the good work. You’ve got lots of good suggestions, but I’d be more than happy to help. Since I’m not invested in the project like you are…expecting yellow and getting citron…I like the colors together. I think they work well together. However, that’s not important if you don’t love it. You shouldn’t settle. If you keep it even for the meantime, it will end up being there longer than you intended. I suggest returning it as soon as possible. And I completely relate to your dilemma about being able to find one you love. It’s hard to find the perfect color and patterns in fabrics. Agreed, the curtain is not the same color as in the picture. I too would have been disappointed when expecting yellow. Return it. As to the length, it’s standard, you could lower the rod, but since the curtain is so close to the toilet and if you have men in the house, you might not want it so close to the floor as they can get messy and also when you mop it will be in the way. If you’re like me, I like so many different things that sometimes I’ll get one thing in my head & then end up with something totally different. Sometimes that’s good, sometimes not so much. 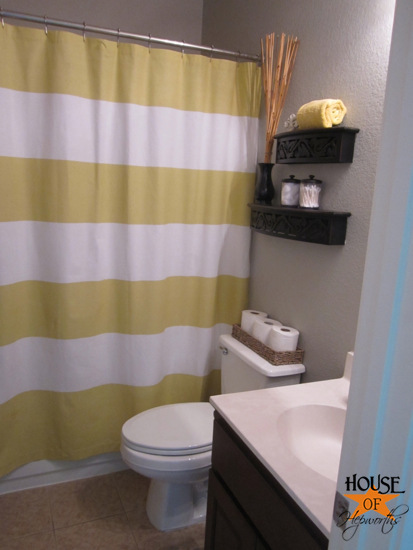 I like the citron & the stripes but just not with the wall color and yellow towel. If you really like the curtain but not how it looks in your room, I’d compliment it with a wow color like hot pink or teal. I think it is very nice, but i would hold out for the perfect one you know? Wow, we both recently bought shower curtains from West Elm. Great minds, right? My bathroom is not nearly as far along as yours is, but I wanted that curtain NOW before it got sold out. I personally really like the citron stripes. I think you should always follow your instincts, though – if you hate it, get rid of it. If the color is what you had an issue with, why not just get a white curtain and DIY? Fabric medium mixed with a little paint (of your choosing), some painters tape, and boom – a custom curtain you want! IKEA has those WILMA curtain panels that are 12.99 for a two-pack, and they are super long. So, even if it winds up being fail #2 (or is it #3 if you’re using the duvet as #2? ), it’s not a huge gamble $ wise, and it will fit the length you want. I am right there with you on the short shower curtains. We ended up just lowering our curtain rod b/c I just couldn’t stand it. Our bathroom in the basement was the only one that was like that. And like you, I was the only one bothered by it. My husband totally thought I was nuts asking him to lower it so it touched the floor. Ha! Alison, DIY Queen, REALLY?! I would have thought you would have whipped up your own shower curtain by now. How about buying a cheap white sheet, cut it to the height you want. Add grommets, and paint watered down paint stripes on it in the color you want? I agree that if you don’t love it, back it should go! I thought the same thing at first, that it was too short. Sure, you could add on to it, but why go through all of that with a something you are just so-so on? The bathroom looks great. In my opinion, don’t compromise on the yellow!! I’m a huge yellow fan. I love bright and cheery. A pea soup color would drag me down every time I walked into that bathroom. So.. paint one, or just keep looking. Good luck with your endeavors!! I never, NEVER buy shower curtains, and always, ALWAYS buy drapery panels instead. 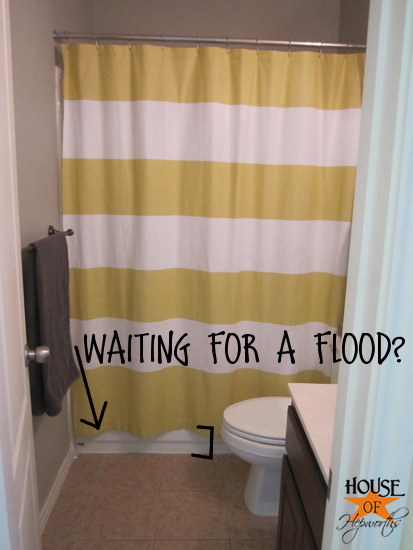 For me, typical “shower curtains” are always waaay to short and not full enough!! I use an expandable curtain rod (you know, the kind with the spring inside) and put it all the way to the top of the shower opening. I buy two drapery panels – the 84″ length – wash them and sew them together and hang ’em up! Depending on the shrinkage (is that a word? ), sometimes I hafta hem them up at the bottom, but it has never been more than the size of the hem already in the panel – so it’s just a matter of flipping it under and sew! (ALL straight-line sewing so anyone can do it) I love the fullness and the height it gives the room!! i think you should exchange yours for the gray stripe west elm curtain. thats the one i recently got. like meg of whatever blog. i LOVE it! Just a suggestion here, why don’t you adjust your rod and lower it and you’ll be good to go 🙂 Hope this helps! I know I am a little late to this post, but I need to know where you bought those floating shelves. I just love them!! !